Top 10 Cricketers missing from the World T20: The most electrifying and premier event of the year, the World T20 seems to have created a carnival like environment in India. And why it wouldn’t? India is a country where in billions of people are absolutely and madly in love with cricket. The way in which the crowds have flocked the stadium in the Warm-up games of India are signaling towards the exhilarating and carnival like atmosphere which would hit the nation in the days to come as well. The World T20 commenced from March 8. But it is notable that the main round of the super-colossal event is yet to begin. Till now the qualifiers were taking place to ascertain the final two sides for the Super-10 stage. Bangladesh and Afghanistan are through to the main round of the event. The main round of the World T20 will begin from March 15 with the hosts India taking on New Zealand at the VCA stadium, Nagpur. On the eve of the opening match, we have compiled a list which encompasses the names of the players who will be badly missed in this tournament due to some reason or the other. 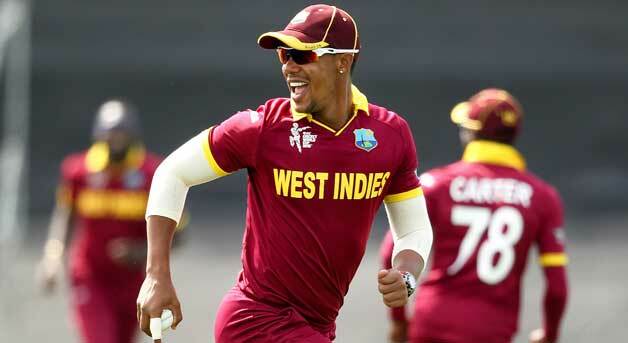 The swashbuckling West Indies batsman, Lendl Simmons was recently ruled out of the World T20 due to a back injury. It came as a letdown for the Caribbean side considering Simmon’s invaluable experience and expertise in the Indian conditions. The right-hander is someone who is very calculative in his approach and builds up the innings in a measured way. A team like West Indies which is full of dashers, a busy player like Simmons could have provided the much needed stability to the side. The 31-year-old has made 21 appearances in IPL and has accumulated 934 runs at a superlative average of 49.16 and a healthy strike-rate of 127.36. His impressive stats in India outlines that he could have been a vital-cog for West Indies in the World T20.